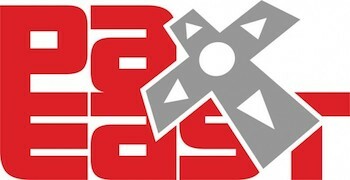 If you will be at PAX East in Boston this weekend, then stop by to check out the panel discussions that The Escapist team will be participating in. What's a video game show without The Escapist? Not much, that's for sure. PAX East begins today at the Boston Convention & Exhibition Center, And we have the a complete list of panels that our esteemed editors will be speaking on. Whether it's bad games, pitching a story idea or a look at the new consoles six months in, we will be offering our opinions. IGN Game Scoop! Live Podcast (Friday, 4/11, 10:30-11:30 a.m., Albatross Theater) -- Sr. Video Producer Andrea Rene of Escapist News Now will join several IGN editors on their live podcast from PAX East. Six Months Into the New Console War (Friday, 4/11, 2-3 p.m., Arachnid Theater) -- Video Editor Paul Goodman joins this panel to take about the PlayStation 4 and Xbox One, as well as the Wii U, Ouya, Steam boxes and other consoles. Who's will win? What You Can Do to End Bile and Hatred in Games Culture (Friday, 4/11, 7:30-8:30 p.m., Albatross Theater) -- Our own EIC Greg Tito, Movie Critic Bob "MovieBob" Chipman, Andrea Rene and GameFront EIC Janelle Bonanno will be on this panel discussing the bile that shows up in many forum topics, the possible causes, and how you can limit your contact with it. Why You Should Hate SimCity And Other Games That Ruined Your Life (Saturday, 4/12, 10:30-11:30 a.m., Bumblebee Theater) -- Janelle Bonanno and Greg Tito will be among the panelists talking about games we wanted to love, but now love to hate. Why it's AWESOME to be a Female in the Gaming Industry (Saturday, 4/12, 11 a.m.-noon, Condor Theater) -- Escapist veteran news writer Sarah Lebouef and former EIC Susan Arendt will talk about the positive aspects of being a woman in the video game industry, and how they got their foot in the door. How to Pitch a Great Game Story (Saturday, 4/12, 3-4 p.m., Bumblebee Theater) -- Greg Tito and Susan Arendt will offer some simple guidelines and best practices to attendees on how to get your story published. Games So Bad, They are Good (Saturday, 4/12, 6-7 p.m., Albatross Theater) -- Paul Goodman, MovieBob and GameFront Managing Editor Ron Whitaker will be part of this panel that discusses games that can be so bad, they are entertaining at the same time. Royal Rumble on the N64! 30 Players! Live! (Sunday 4/13, 10:30-11:30 a.m., Bumblebee Theater) -- Andrea Rene will be one of the 30 participants in this playthrough of the classic THQ game on the Nintendo 64. Be sure to catch all the action and discussion, as well as all The Escapist news coverage from the show throughout the next few days.